George Zimmerman says the gun he used to kill Trayvon Martin has been shipped to the buyer who paid $250,000. 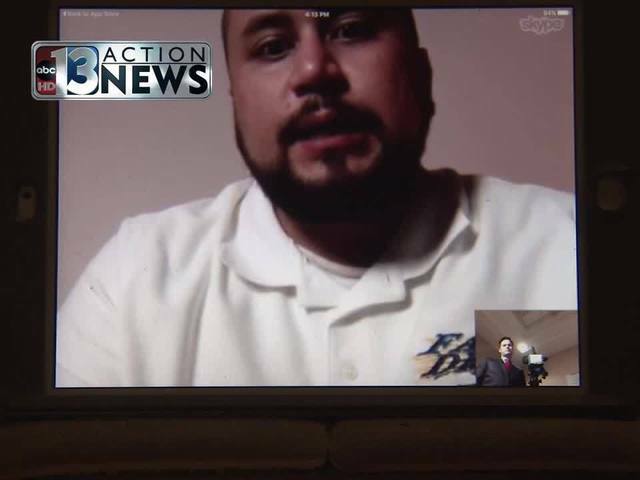 Just days after agreeing to the quarter million dollar sale, Zimmerman sat down with KTNV in Las Vegas for an exclusive interview in which he discussed his motivation for selling the 9 mm Kel-Tec PF-9. "Well as I said in the online on a GMZ1776.com, that it was I was tired of Hillary Clinton's anti-gun rhetoric,” Zimmerman said via Skype. “She had recently made comments about, not comments, she had recently lied about the situation. "She has been stumping around for a false campaign for the Trayvon Martin Foundation. She lied saying that I killed him when he was walking home in his daddy's neighborhood. Which if anyone watched more than seven minutes of the trial they would know that is false." Zimmerman said he is also working to end the career of the lead prosecutor on his case, Angela Corey. The 32-year-old added that he has already extended an offer to her opponent in the upcoming election, unsure if they will accept his support. Zimmerman said he also plans to use money from the sale to support the families of officers impacted by violence he says is tied to the Black Lives Matter movement. "I am going to donate to officers such as the deputy in Texas that was shot in the head at point blank range for no other reason than he was in uniform,” Zimmerman said. “No one can replace his life. No one can replace the service he was doing to his community. My goal is to attempt to make his family as whole as possible again." The high profile sale did not come without its critics. One columnist called the auction a “victory lap” for Zimmerman who was acquitted a little over a year after the Feb. 26, 2012 shooting. "I don't care about them one bit. They didn't bid on it. They don't affect my life one bit. They are irrelevant," Zimmerman said. 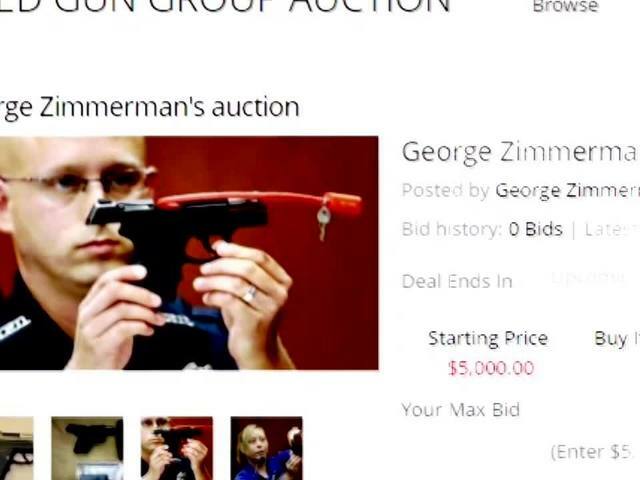 While the gun is now gone, Zimmerman says he will still sell more items to accomplish his goals of defeating those he says persecuted him over the past four years. "I would sell everything and anything I own to ensure, to attempt to ensure that they can no longer hurt men and women of law enforcement," Zimmerman said. "Anything I can think of to ensure that Hillary Clinton does not become the leader of the greatest nation on Earth." As for that night in February 2012 that thrust him into the headlines, Zimmerman says he would have made changes if he knew what was on the horizon. “Of course, I would have done anything to not have to take a life in self defense,” Zimmerman said. “I would have done anything for Sybrina Fulton and Tracy Martin to have actually taken an interest in their child. They let a lady named Alicia Martin who was thoroughly interviewed by Dr. Phil on his shows and aired in 2012. "They had no interest in their child. I wish they would have. I wish they would have raised them right. I wish I never had to, I would have stayed in bed if I would have thought I would had to take a life in self defense. I don’t think anybody in their right mind would ever want to be in this position." Zimmerman says the buyer has agreed to allow him to sell 3D lithographs of the gun with his signature and the case number. He says he plans to post those on his website in the future.